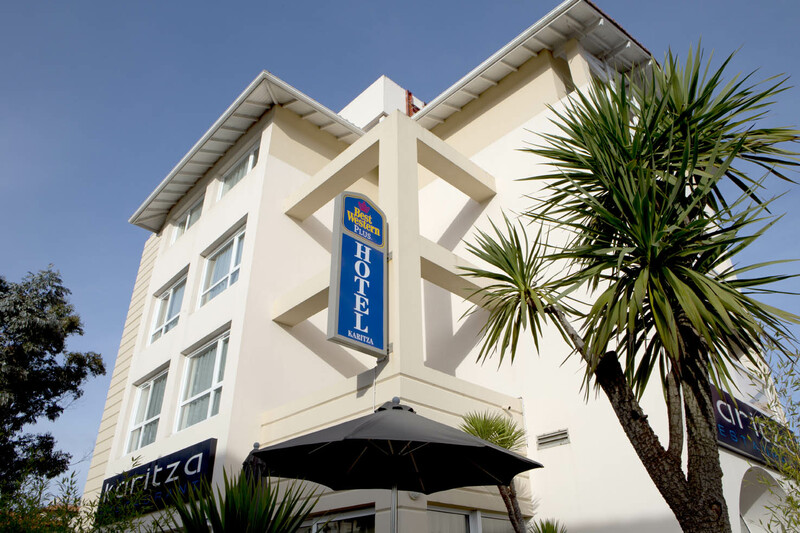 The Best Western Plus Karitza Hotel is situated in the city center of Biarritz, a 10-min walk from the main beach La Grande Plage and the Barrière Biarritz casino. The town centre and Place Clémenceau are about 600 m from the establishment. The tourist centers of Rocher de la Vierge and Mazon Park are about a 7-min drive away, and Lake Marion is about 2 km from the hotel. The hotel offers an excellent option for those who wish to discover the glamour of Biarritz in a modern and cosy hotel. The hotel houses 77 rooms, 24-hour reception, a continental breakfast (possible in room) and a hotel safe. Internet access is free of charge and we have also a business corner. A private parking is available for an additional fee. The hotel fully refurbished in 2012 and all guest rooms now feature Air Conditioning, as well as a new restaurant and bar. Comfortable, soundproofed rooms all come with a Canal+ and Canal satellite TV and facilities and a courtesy plate. All rooms with twin beds or a queen-size bed have a bathroom with shower and WC, plus a direct dial telephone and individually regulated heating. Our executive rooms are equipped of a Nespresso machine. Relax in the garden in the outdoor warmed swimming pool or under the parasols. There are golfing facilities at Le Phare golf course, about a 10-minute drive away.